Our REALTORS® can help you see inside every Not Applicable School District, Indiana house listed by any real estate agent or broker. When you find a home you'd like to see, submit a showing request or call us. Get Not Applicable automated home sale updates. 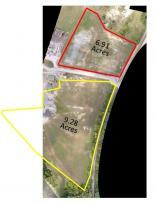 Perfect 6.91 acre site zoned I1. Ready to be built on more and is affordable. See red marked piece on photo.